The Florida Supreme Court is set to hear a case that could have a big difference in how much money that car accident victims get to keep from their settlement or verdict. The case involves the interpretation of personal injury protection (PIP) benefits. 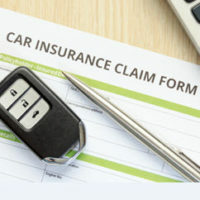 PIP insurance is insurance that is available to motorists without having to show that anybody was liable for the accident. Whether you are at fault, or just run your car off the road because of your own negligence, you get your PIP benefits. In this way, PIP is intended to provide some financial relief quickly and efficiently. By law, every driver must have PIP insurance. PIP insurance often has a deductible. PIP will generally pay for 80% of your medical expenses. This is where the problem comes in–does the 80% apply before or after the deductible applies? a quick hypothetical can show why this question makes a difference. How and When is PIP Applied? Let’s assume that you have $10,000 in medical expenses, and a $2,000 deductible. If PIP applies to the entirety of your bills ($10,000), you would get $8,000 in benefits. But if PIP only is calculated after the deductible is deducted, then you would only get $6,400 in benefits (being 80% of $8,000). The latter scenario would leave you owing $3,600 in out-of-pocket expenses on that $10,000 medical bill. The former would leave you owing $2,000–exactly the amount of your deductible, which effectively means that PIP paid 100%, and not 80%, of your non-deductible medical expenses ($8,000). On the one hand, PIP paying an effective 100% of non deductible expenses would seem to run contrary to the law, which says that PIP pays only 80%. On the other hand, PIP is supposed to be interpreted in a way that favors more insurance coverage, not less, and since the statute is not clear on this point, the Florida Supreme Court may lean towards the extra coverage created by the ambiguity on the subject. This makes a difference to all car accident victims, because the less that is covered by insurance, the more that will have to be repaid to medical providers out of the proceeds of a verdict or settlement. There is no word as to when the Florida Supreme Court will rule on the case, or even if they ever will, even though different appellate courts have ruled differently, making the law currently different depending on where in the state your case happens to be. Tampa car accident attorneys at the Pawlowski//Mastrilli Law Group can answer your questions and help you obtain damages for injuries sustained in a car accident. Reach out to us today for help.